With a little over a month remaining until the big day, now is the perfect time to start ticking off those present purchases. 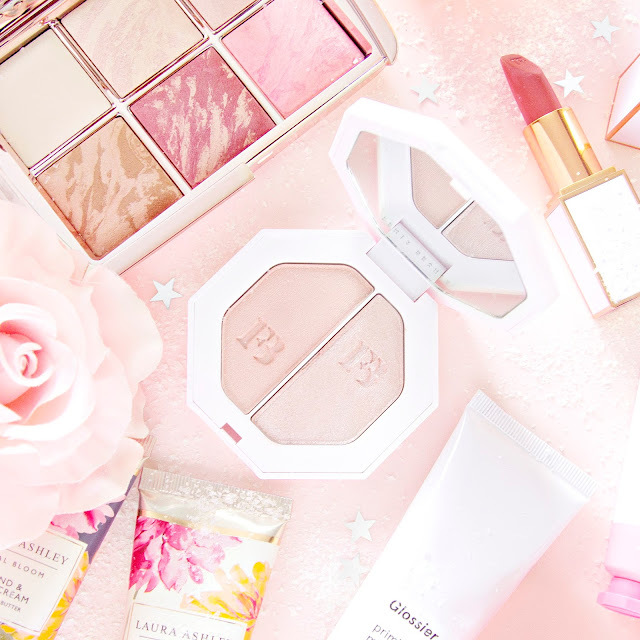 Gift guides are my favourite posts to read, so I've put together a list full of beautifully packaged, luxury products which would make amazing gifts for the makeup and skincare addicts in your life. 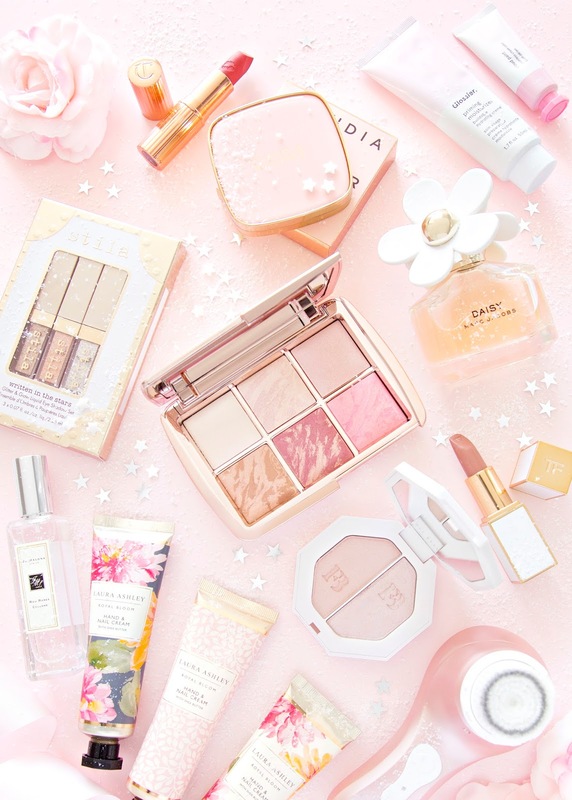 More and more brands are catching onto the fact that pretty packaging sells, so there is no shortage of beautiful makeup on the market. I love the simple, clean packaging of Fenty Beauty products, my favourite of which is the Killawat duo, which contains two highlighters, one for a a more subtle dewy look and one for a dazzling glow. All Fenty Beauty products come in a huge range of shades, which make them ideal for gifting. Another brand you can't go wrong with is Hourglass, and their Ambient Lighting Edit Volume 3 Palette is certainly no exception, in fact it's so lovely on it's own that you could get away with just putting a big bow on it! 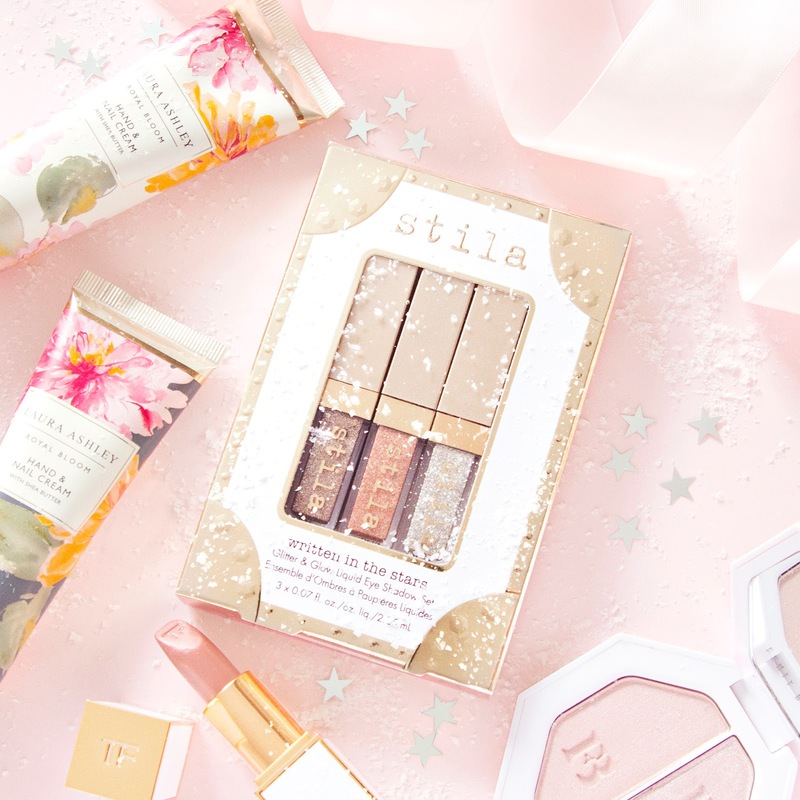 I love that it contains six different products, all of which could work on a variety of skin tones, making it a perfect gift for any beauty addict. I couldn't write about beautiful makeup and not mention Claudia Schiffer's new range. Not only are her products stunning to look at, they are also really lovely to use. My favourites from the range are the blush and eyebrow gel. If you're thinking of buying some as a Christmas gift then I highly recommend ticking the gift box option, because her gift boxing is so luxe that you can save yourself a few pounds on gift wrap! If you're buying for a skincare lover then luckily there are endless gift ideas this year. The limited edition rose gold Magnitone Cleansing brush* is truly skin changing and would make a lovely addition to anyones skincare routine, plus it looks beautiful on display. I truly believe that everyone should own a cleansing brush, because nothing else cleanses quite as thoroughly, and this one is currently on offer! Glossier have recently launched in the UK, planting them firmly at the top of everyones skincare wishlists this Christmas. The Phase One set would make a fantastic gift, as it gives the recipient the chance to try out a variety of different products. Pixi beauty is another well hyped skincare brand, and for good reason! Their Glow Tonic is the stuff of legends, I'm yet to discover a person who hasn't loved the effect it's had on their skin. They also have some amazing gift sets on offer this year, including the Best of Bright kit which includes a cleanser, a mask, and a little bottle of Glow Tonic. Christmas can be a great time to nab yourself some bargains in the form of gift sets. 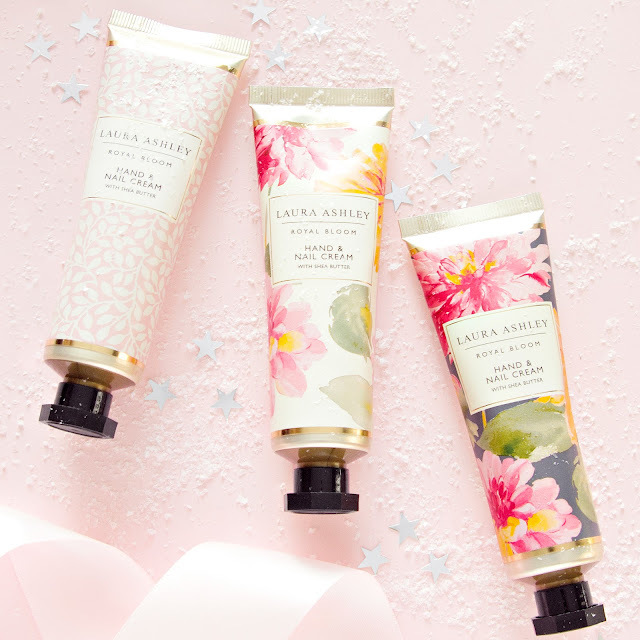 Some of my favourites include this gorgeous set of three Laura Ashley hand creams (a perfect stocking filler for mums and aunties), the highly coveted Stila Written in the Stars glitter eyeshadow set, which contains three of their best selling glitter shadows (including my personal favourite, the gorgeous rose gold Kitten Karma) and the Charlotte Tilbury Lip Archive which contains three full sized lipsticks for £60, saving you £12. Fragrances can make the most magical gifts when they're chosen well. Marc Jacobs perfumes are perfect for gifting to friends and siblings with their quirky packaging and sweet, feminine scents, my favourite of which is the light and floral Daisy*. Jo Malone fragrances are a little more on the pricey side, but make beautiful gifts those with a sophisticated taste in colognes, I actually have my eye on the classic Peony and Blush Suede for myself! So those are some of my favourite gift ideas for beauty lovers this Christmas, I've included a few more below, because there really are so many amazing options out there this year. Will you be gifting any of these products this year?